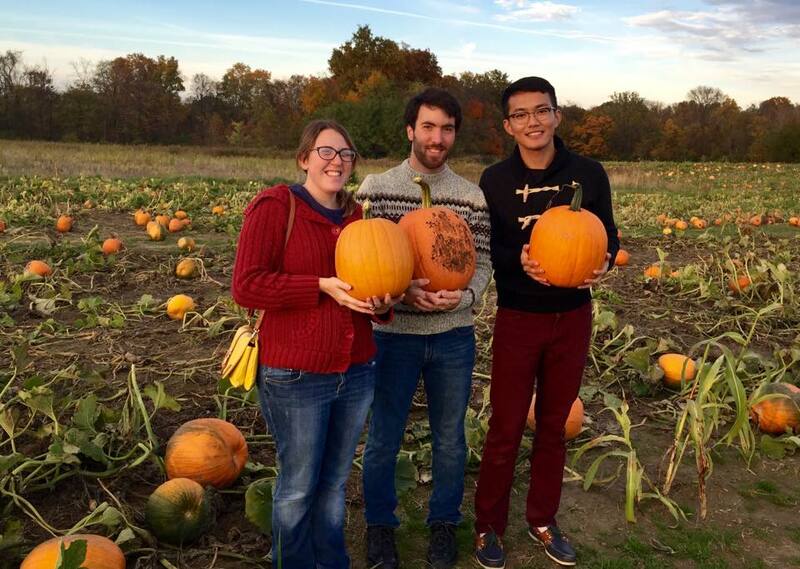 Stephanie, Ben, and I pick out pumpkins at Appleworks. I thought it was strange that he was so obsessed with the two oddballs. Though possibly the fluffiest, they certainly weren’t the only animals. The orchard/pumpkin patch had goats, sheep that climb across high catwalks, peacocks, chickens, a horse, and a cow that licked my hand with its catlike sandpaper tongue, then nibbled a little. It was October, and the weather was perfect for a light sweater. And the pumpkin patch, Appleworks in Trafalgar, served incredible apple cobbler with ice cream, apple cider slushies, and candy apples. Ben is smart and levelheaded and one of the most capable people I know. So it seemed strange that he would get worked up over something like this. “In Chinese,” Ben explained, trying to stifle giggles, “the word for llama is also a swear.” This is why Chinese people love llamas, he said, because they’re a cultural reference. First, I didn’t know that Chinese people did love llamas. But it’s true. When he later told a Chinese friend at UIndy that he got to pet a llama, the friend wanted to know where so she could go, too. As for the word, it’s Cǎonímǎ (草泥马), and it’s phonetically identical to something very offensive, and hilarious. It’s been used to protest the Chinese government’s internet censorship. A very bizarre video called “The Song of the Grass Mud Horse (Llama)” is rife with hidden, vulgar messages, and it romped all across the internet. So what does Cǎonímǎ mean? Sure, we have the words dam and damn, but it doesn’t compare. When he told me, I laughed right along with him, and chanted, “Llama! Llama! 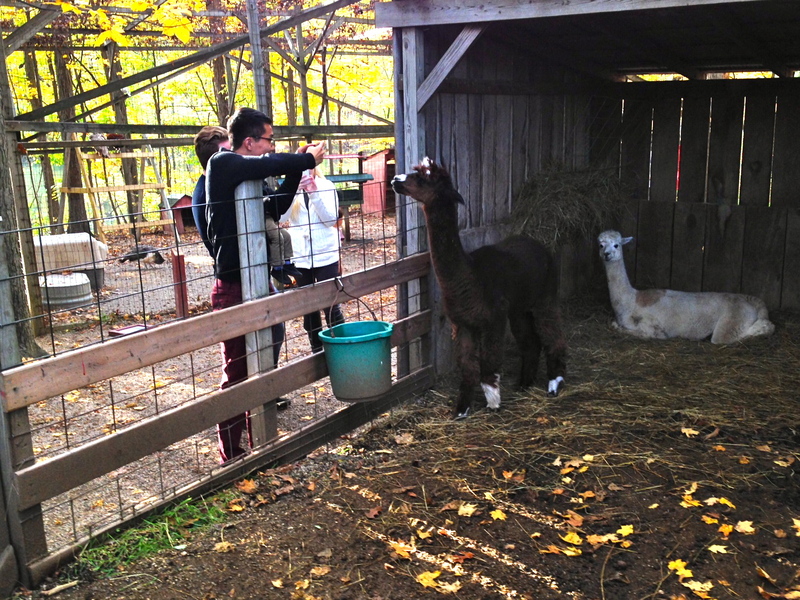 Llama!” But the real joke is this: They were really alpacas.